The students at North Kansas City Schools demonstrated just how talented this generation of high schoolers are. With experience coding in multiple languages, our security professionals weren’t exactly speaking to novices at this event. Adding that level of security knowledge is what makes these experiences really rewarding for our members & volunteers. 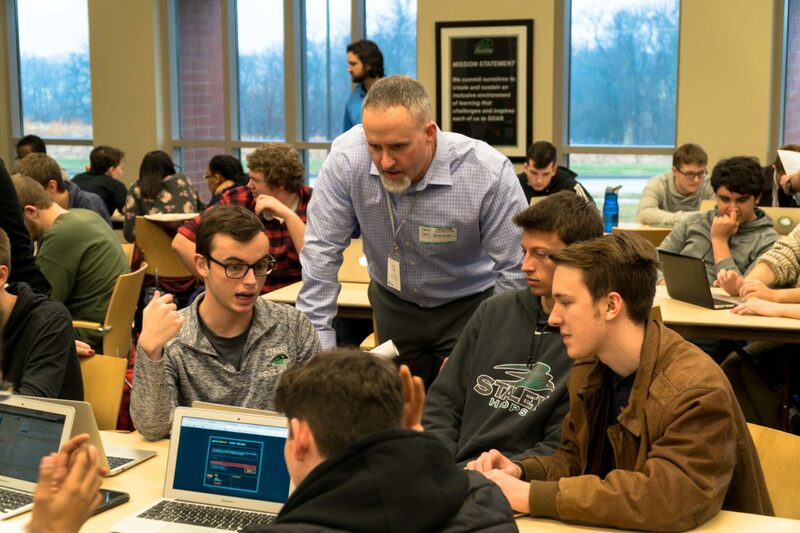 Lewie Dunsworth, CISO for H&R Block led a discussion around the basic principals of cyber security, ethical use of technology and digital citizenship. Scott Harris of Lockton Insurance, Shawn Scott of Garmin and Brittney Hommerziem of AMC Theaters rounded out the pannel of security leaders. 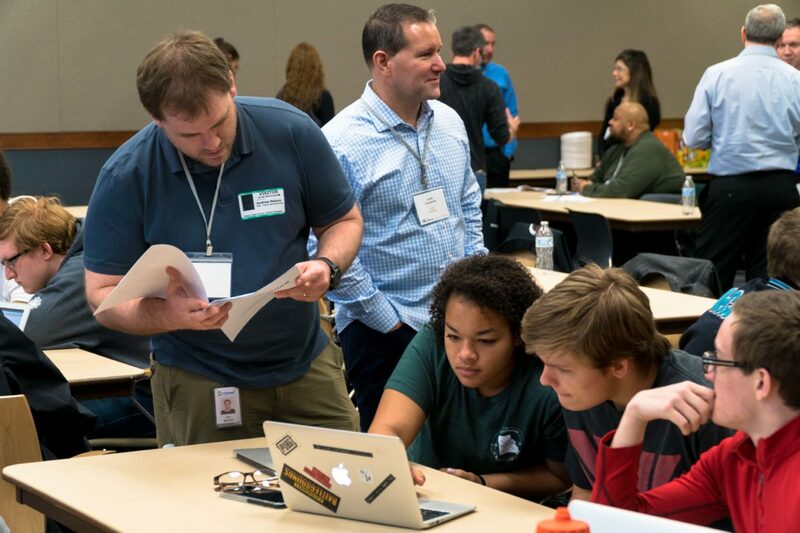 Members of many security teams from around the Kansas City area particpated in the interactive learning workshop, aimed at inspiring and engaging the next generation of security professionals. 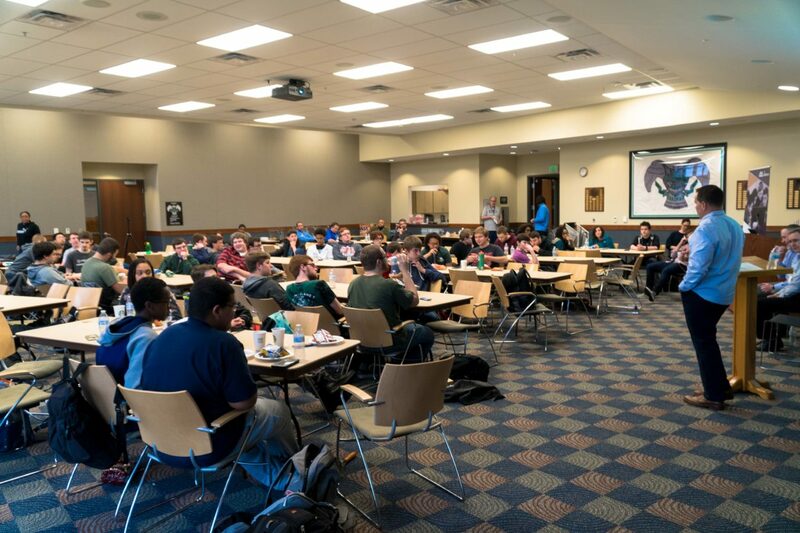 The students were broken into small teams and guided through a gamified online capture the flag experience that rewards critical thinking skills, teamwork, problem solving and creativity. 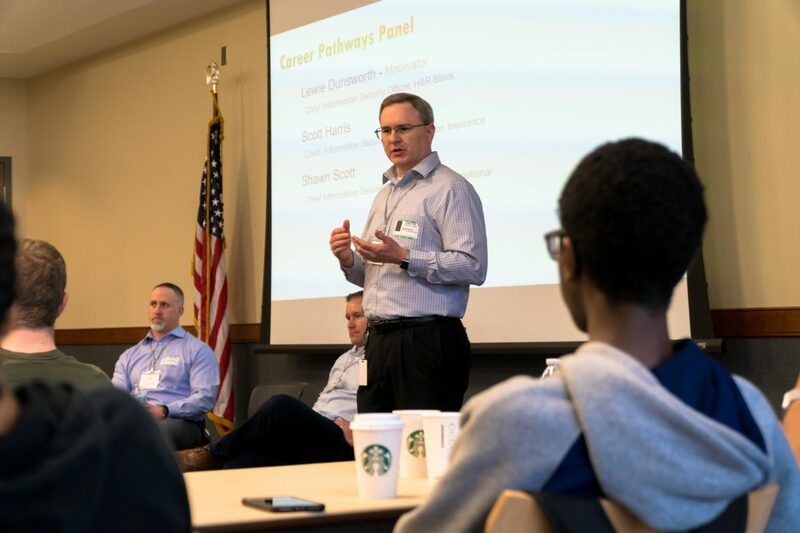 Security professionals helped the students find their own path to answers while helping them understand the context of what they were learning. To accompany the provided lunch, our professionals finished the day by discussing the various pathways to employment including education, certification, networking, soft skills and passion. Students were encouraged to ask questions and many posed very insightful query’s.